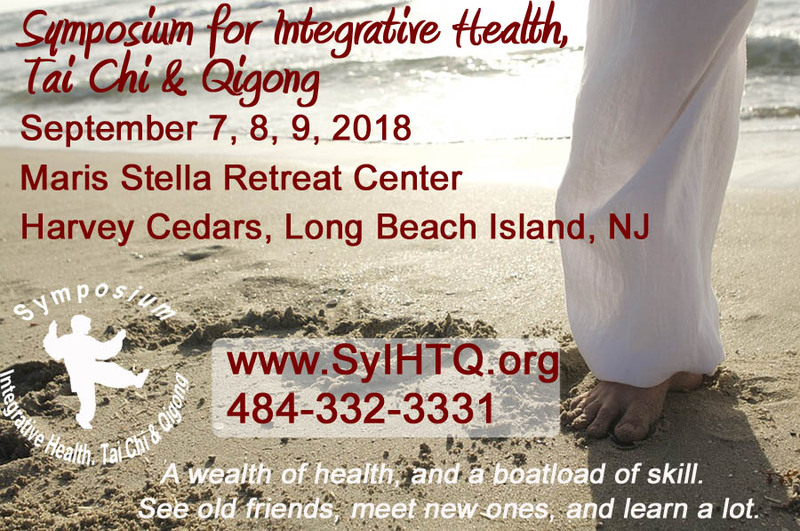 On September 7, 8, & 9, 2018 we will be holding a fabulous Symposium for Integrative Health Tai Chi Retreat, (aka "The Symposium" or "SyIHTQ") at Maris Stella Conference and Retreat Center at Harvey Cedars on Long Beach Island in New Jersey. Please make a note of it in your calendar. Calls for workshops and papers as well as more details can be found on http://SyIHTQ.org. Hope to see you there! Taijiquan Enthusiasts Organization is happy to support Bill Douglas and Angela Wong's World Tai Chi & Qigong Day! We are working on getting the listings back up and running. To apply for professional membership, fill out this form [click here for application] and return to us. Once completed and sent to Stella@HPLConsortium.org or HPL 501c3 Institute, PO Box 564, Douglassville, PA 19518, you will receive a welcoming email and a link to pay. The current Managing Director of Taijiquan Enthusiasts Organization (Luke Jih) has temporarily suspended membership fees for non-professional members of Taijiquan Enthusiasts Organization. If you'd like to donate, however, please click here. For years we've been debating about providing benefits for Tai chi Teachers such as third party verification of certification. For years we encourage people to contact the NQA for certification. However, we recently discovered that the NQA will not certify Tai Chi teachers, only Qigong Health Practitioners and Instructors. So, if you are a Qigong teacher, go to NQA. However, if you are a Tai Chi teacher seeking third-party, non-style specific medical certification, go to the International Medical Tai Chi and Qigong Association (IMTQA). If you are interested in serving on the committee to make that happen, please contact CJ at CJRhoads@TaijiquanEnthusiasts.org.